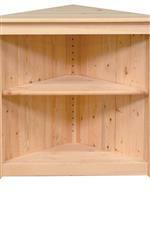 Give your home some extra storage in a beautiful natural look with this pine wardrobe. This piece is extremely durable, as its made right here in America from strong pine while coming in 13 custom Amish finishes, so you know you'll find that personalized look you love. 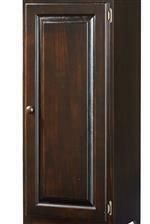 You get plenty of storage within the wardrobe, with a hang rod and a top fixed shelf for a more concealed area. This will be a piece to cherish for many years to come. The Pantries and Cabinets Pine Wardrobe with Hang Rod by Archbold Furniture at Novello Home Furnishings in the Berlin, Barre, Montpelier, VT area. Product availability may vary. Contact us for the most current availability on this product.